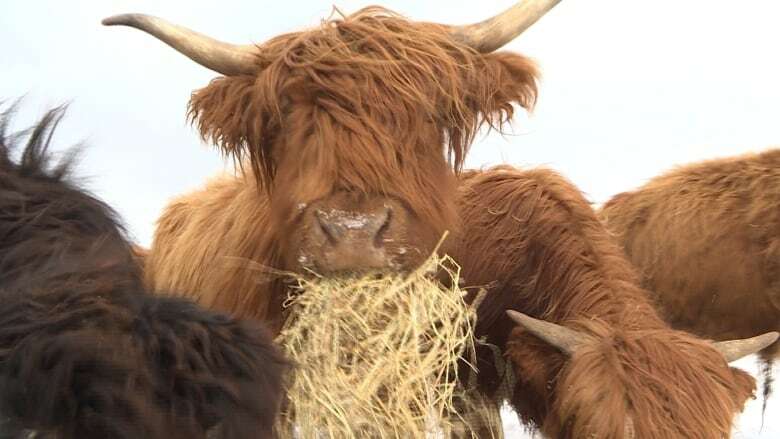 It isn't northern Scotland, but Happy Valley-Goose Bay is now home to some Highland cows, after a local man brought in a herd of the animals with the hopes of selling locally grown beef. 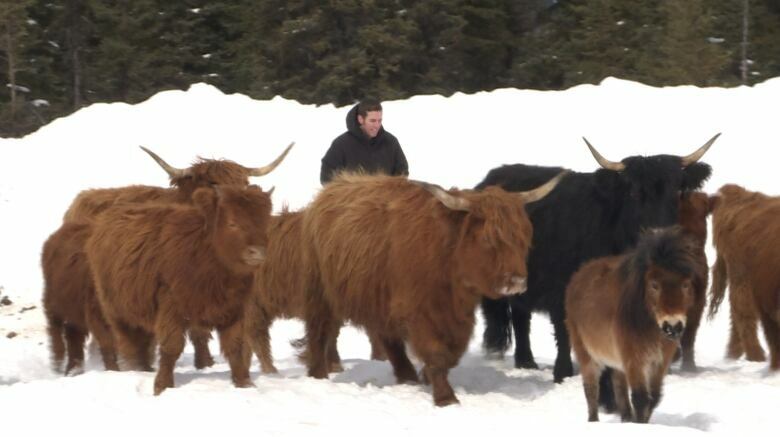 "They're certainly not cold because they have a giant furry coat on them," said beef farmer Darren Dinsmore. 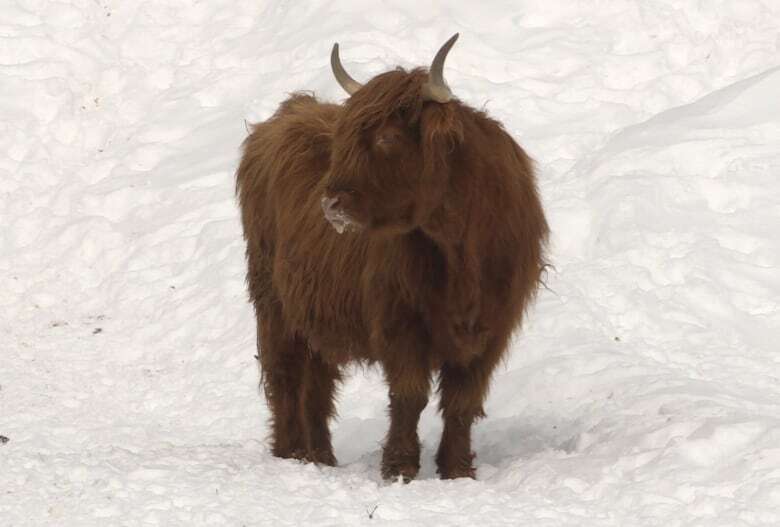 "Highland cows are sort of like a heritage breed. They're pretty common among people that are looking for a more natural type of beef as opposed to a commercially raised style of beef." Locally produced beef is virtually impossible to buy in central Labrador right now and won't be available for a while yet. Twelve of the animals arrived at Aldercroft Farm about a week ago, including three steers that will be used to build the pack over the next few years. "We're starting off with the few cows that we have here and we're hoping to grow that to maybe double or triple the size and then maybe we'll be able to go ahead and start processing the meat here," Dinsmore said, who in the meantime will sell meat from the more mature half of the herd, being kept in Nova Scotia. He said they hope to have the farm open in the next couple of months for the public to buy beef. "[But] these cows won't be it." Dinsmore said as the herd grows here, so will the market for his beef, and the plan is to eventually build an abattoir. Dinsmore, also a Baptist minister, says the cows are a bit of a side hustle to his main gig but he believes his work with the cows is complementary. "What better way to share the love of Jesus than to help with food security?" Dinsmore said. He chose cows because of his background in cattle farming. "It seemed more of a natural fit for me as opposed to growing turnips and potatoes because I'm just not a vegetable farmer," Dinsmore said. Dinsmore said he will begin growing his own hay to feed the cows this summer. Ethical treatment of the animals is important to him, he said, "so that they live a happy life and a fulfilled life out here on the farm. They're not cooped up in a small pen.… We make sure they're fed good food and live a happy life." 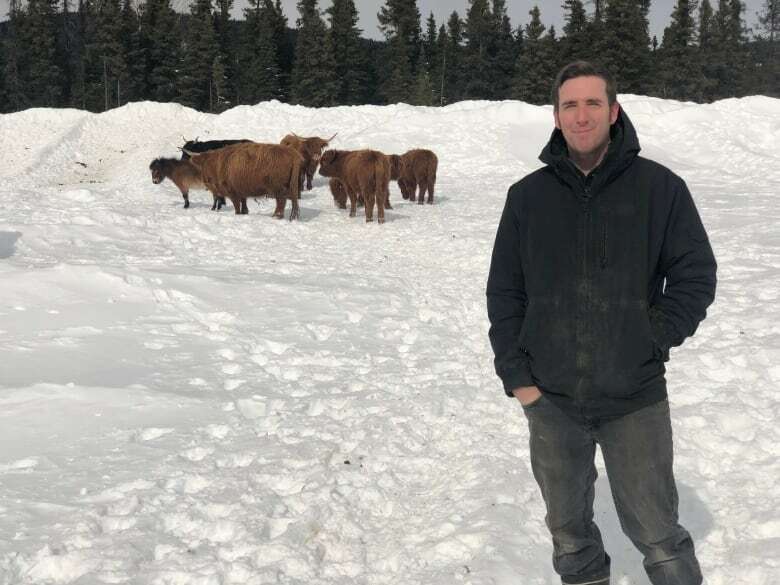 He said he wanted to do his part to bring local food to market here and hopes to one day see the beef make its way up to isolated communities on the north coast. "Growing our food locally is just really important for our food security here," Dinsmore said. "Just the fact of it being greener and us being able to produce things here has a greater impact on the environment, and [it's] just good stewardship in general."